– How and where do I optimize pages for search engines? – What types of links do I include on my web pages? 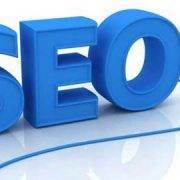 – Is user experience important for SEO? – Do I need to optimize for mobile? – What are inbound links? – How can I be found in local searches? 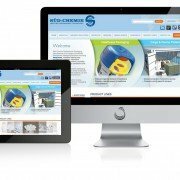 How do I Optimize Web Pages for Search Engines? Now that you’ve carefully selected your keywords and crafted beautiful, customer-focused content for your web pages, we need to optimize the page where it will be featured. If you’re not into doing all this stuff yourself, take a look at how an seo company will help my website be found. It’s important that both your users and search engines quickly understand what each page is all about. Search engines go through a process to index each page, and you’ll want to make things easy for them. Optimize each page around a specific keyword. Be sure the keyword you select accurately reflects what the page is actually about AND what your buyer personas are actively searching for online. Add the keyword to the page title. The page title shows in a few places like the browser tab and the actual link shown in search results. You can include your company name, but after what is called a “pipe” – a vertical bar in the title of the page. Here’s another article that explains how page headings help SEO. Add your primary keyword to the URL. If it’s a longer url, use dashes to separate each word. Search engines don’t like blank spaces so much. If you’re changing the web page url, be sure to set up a 301 redirect to permanently deliver your users to the correct page. Add keywords to page headers and within the content. Don’t artificially or awkwardly throw your keywords into the discussion…use them naturally. Google is smart, and it knows when you’re doing this and will penalize you for it. Google is also really good at recognizing synonyms and context, so mix things up a bit. Add keywords to image alt text if there are any images on the page. Google can’t understand what images are depicting unless you tell it. This is where alt tags come in, and how images come up in search results. Good alt tags will complement the subject matter on your page. Add keywords to the meta description. Meta description is the small body of text that appears in search results beneath the page title. This serves as a short summary of what the page is going to be about. While this doesn’t affect SEO so much, it does help users quickly understand what the page is about and will increase clicks. This text should be no longer than 160 characters. Include relevant links in the content. Don’t go overboard…perhaps a link or two per paragraph is enough. 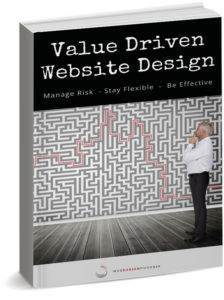 This contributes to the trustworthiness of your site and often enhances the user experience. Writing great content will earn you what we call “inbound links”. This is when other sites credit your page and provide their users with a link. Google interprets this as your site being credible and trustworthy…of course depending on the nature of the referring website. Not all inbound links are created equal. All links should have anchor text with your keywords. Anchor text is what the link itself says. Rather than “click here”, a good link might read “3 Website SEO Pitfalls”. Optimize for mobile. Be sure that your layouts are completely mobile responsive. This means that information on the site adjusts to smaller screen sizes. Menus shift and button enlarge to accommodate finger tapping. Small fonts and miniature links are not good for mobile users, and Google knows this. Images should be sized appropriately to speed refresh rates. Modern mobile design principles are moving toward longer scrolling pages rather than menus requiring multiple clicks. – To optimize for local results, set up your web listing in Google Maps.